I think your 30s is probably the most difficult time to maintain your friendships. In your teens and twenties, you are usually carefree with no responsibilities, not many commitments and you do tend to have a fair bit of free time on your hands. I was a bit of an anomaly to this rule as we bought our first flat when I was 19 and then married and had kids at age 22 but I think if there are just one or two of you in your group settling down like this, it's pretty easy to work around. I have so many happy memories from my twenties featuring weekends away with the girls, nights out, dare I say it - clubbing, meals out, after work drinks.....I could go on. Maintaining your friendships in your 30s feels like a completely different ball game altogether. Most of us have made new friends through uni, baby groups, work and our partners so in one way, we tend to have more friends than ever before. But then I think other types of friendships change in your 30s. You may end up growing apart from certain groups of friends and find that as you grow older, you don't have much in common anymore or that your priorities change/are different. Some of the girls I used to message every single day in my 20s, I barely speak with now. Friendships in your 30s face their own challenges. By now, most of us have careers, partners, our own children and hobbies (or kids' hobbies) which take up most of our spare time. Life is BUSY! In one of my friendship groups, two of us work in the emergency services and trying to juggle everyone's shifts plus other responsibilities to find time to grab a coffee can be a complete nightmare at times but I'm a strong believer that we need to make the effort to do this as if we're not careful, we're risking our friendships fizzling out. In our 30s, we really don't have much free time but this year I'm going to try and not let this be a barrier and am going to work hard to be a better friend. I think our 30s are a pretty vulnerable time - facing new challenges in our careers, juggling life and raising kids is pretty hard work and if anything, we need the support of our friends more than ever. What works for us at the moment is WhatsApp groups. Thank god for technology eh! These are a godsend for just checking in on your friends, catching up, moaning about something, asking their opinion and just sharing things that happen day to day really. I have a couple of WhatsApp groups I message regularly and it's an easy way to keep in touch. Everyone has access to their phone and can find time to send a message at some point and even if you're busy, it's nice to be able to catch up on the gossip this way when you do catch a break. Another thing that works for me is planning something that needs to be booked. I think if you book a table at a restaurant rather than just meeting for drinks, people are far less likely to drop out. We don't do this enough if I'm honest so I'm definitely going to make more of an effort to get more mate dates booked in this year. Finding babysitters can be tough so once you find a free date, book somewhere and stick to it. Weekends away with your friends are possible in your 30s. Sometimes you might need to bring the kids in tow like we did when we stayed in Scarborough with the Hoopers last year, other times the stars may align and you may all have a full weekend free at the same time. This worked well for us when we all visited my friend Jo in Manchester in December 2017. To organise something like this you do need someone in the group to be a natural organiser (that would be me) but once you have it booked, it is 100% worth it and weekends like this are good for the soul. I'm off to Marbella with 2 of my besties (and a few others) for a hen weekend in June and cannot wait to have lots of quality time together. Weekends like this are few and far between but if you can do it, I'd highly recommend making plans. Somewhere I do think I could get better at is celebrating my friends' birthdays. Normally at the moment, I'll send them a quick text and say happy birthday and that's it. Sometimes I'll ask if they want to do anything to celebrate and the answer will usually be no or that they're just having a quiet day or going out with a family for dinner and I've decided that this isn't good enough. If you can't make your friends feel special on their birthday when can you? So even if we can't get together as a group, I'm going to make a real effort this year to personally celebrate all of my friend's birthdays with them in some way or another. Whether this is buying them a slice of cake in their favourite coffee shop, spending a night on the tiles, surprising them with theatre tickets or taking them out for a lovely lunch somewhere. I think you only get out of friendships what you put in and spending time with your friends on their birthday is important. I think that your 30s are when friendships face their biggest tests. Life really does take over at this age and I for one cannot wait to reach my 40s as my children will have grown up (although I'm not wishing their life away - this is just speaking from a friendship point of view), I'll hopefully have a lot less responsibility and a lot more freedom to get back to those glory days of friendships in my early 20s. I can't wait for weekend drinks with the girls, spa days and afternoon tea dates to be more of a regular thing rather than a rare treat. What do you think? How do you keep up with your friends in your 30s? Loved this! 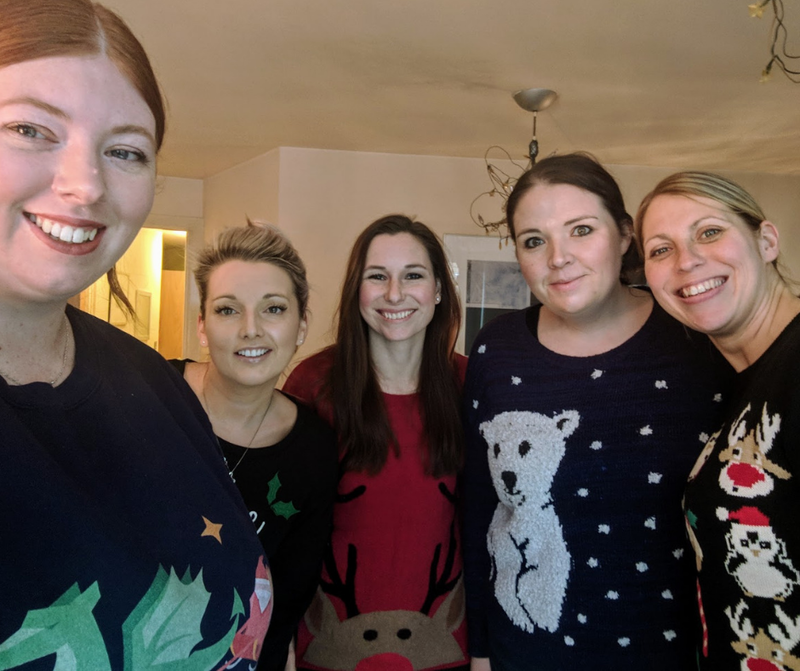 I think in our thirties we have made some brilliant family friends (including you guys!) where husbands and kids all get along well and can go away for the weekend/have drinks in each other homes etc. I feel guilty that i don't keep in touch with a lot of my friends from my younger days! But guess things do change! Yeah times do change and I think you never know, friendships may rekindle in our older years too. YES!! I was nodding along reading this! 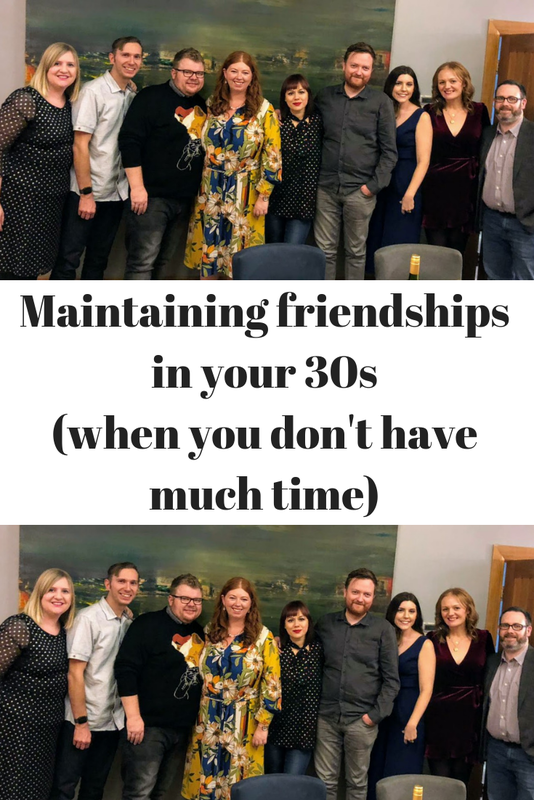 My 30s have been a real testing time for my friendships mostly brought on by huge lifestyle changes - I met my partner, moved away from home and got married in the space of a few years and a fair few friendships didn't survive all of that. For ages I felt really sad about friendships that had fizzled out and was desperate to cling on but actually I think some friendships just aren't meant to be forever even if you really thought that they were. I have so many friends all over the place that I just dont have the time or energy to nurture every relationship so now focus only on those that I think really can survive time. I still have a few friends from back home that I speak to regularly and those that have fizzled out I'm just letting be and concentrating on the lovely friends I've made up here and the old friendships that have stood the test of time. I knew I could count on you for cake. Already looking forward to it. Think we should go to the dome! Love this article, one of my things to achieve in 2019 is see my friends regularly, I think I'll share this with a couple of them who need to get on the same page or we are in serious danger of drifting apart.